Nicely cared for and maintained, this 3BR 2BA home sits at the end of a quiet cul-de-sac on a spacious 8250+sf pie shaped lot. This cozy tile roofed home features a raised hearth brick fireplace with gas starter. Freshly painted country kitchen plus great garden window with views to the north and French doors leading to the light and bright permitted sunroom. The kitchen also features newer lighting and the dishwasher is less than a year old. Both baths have been updated with a deep tub in the guest bath and seat in master shower. Most rooms have ceiling fans. The big back yard is large enough for both a pool and play area and has been lovingly planted with irrigation throughout. A large shed on side of property allows for extra storage. A nice refrigerator, washer and dryer are included as well. so all you have to do is move right in! This property is located in the highly sought after MUPU SCHOOL DISTRICT, with a sidewalk beside home that leads to Ojai Road making the walk to school easy. MUPU SCHOOL serves children up through middle school with great parent involvement. 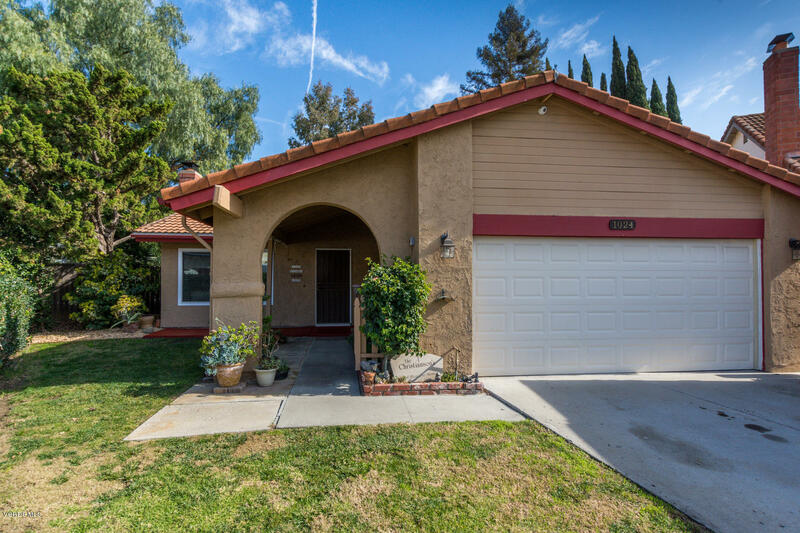 This home offers great value for the price, Call agents Dale - 805.340.3670 or Stuart - 805.218.7242 for your private showing.